Since growing up near Ulm, Germany, close to where the Danube begins its epic journey from The Black Forest southeast to the Black Sea, I’ve been captivated by the majesty of the river we knew as Donau. The Danube has woven countries and cultures together for thousands of years; it has been a catalyst for economic development, a pathway for migration, and an inspiration for works of art and classical music. 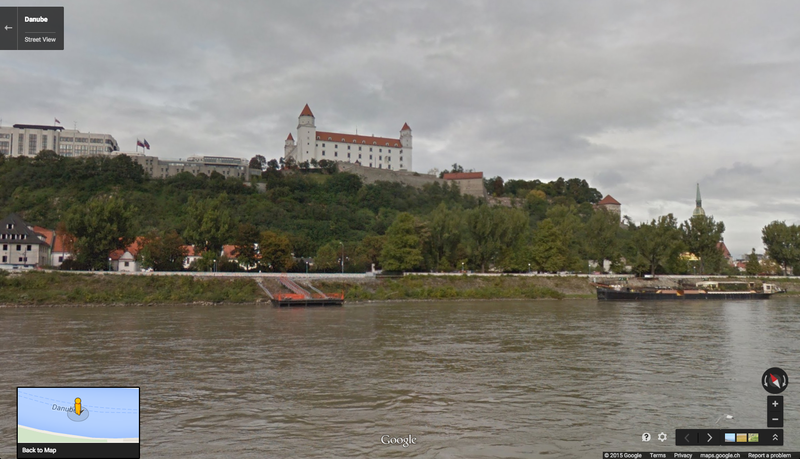 Your virtual boat ride begins in Bratislava, Slovakia, where at the top of the hill, you can see Bratislava Castle. Originally settled during the Bronze Age (around 3500 BC), the castle remains a dominant sight in the area, fixed at a crucial trade point on the Danube. Steering the ship through Hungary, the shoreline is crowded with sights of downtown Budapest. Whether you’re gazing at the famous Chain Bridge by night or the Hungarian parliament by day, the views from the boat dock will not disappoint. On the riverbank of Croatia sits Vukovar, an old baroque city with breathtaking architecture. The Franciscan Monastery and the Church of St. Philip and Jacob overlook the city, peering down at the waters of the Danube. The natural landscapes along the Danube and the views of the river itself may be the real highlight of the journey—try drifting through the Cazanele Mari area in Romania, where more than a third of the Danube’s waterways weave, or the Krcedinska Ada area in Serbia, where the water seems to come alive with reflections from the sky above and the terrain on either side of the riverway. 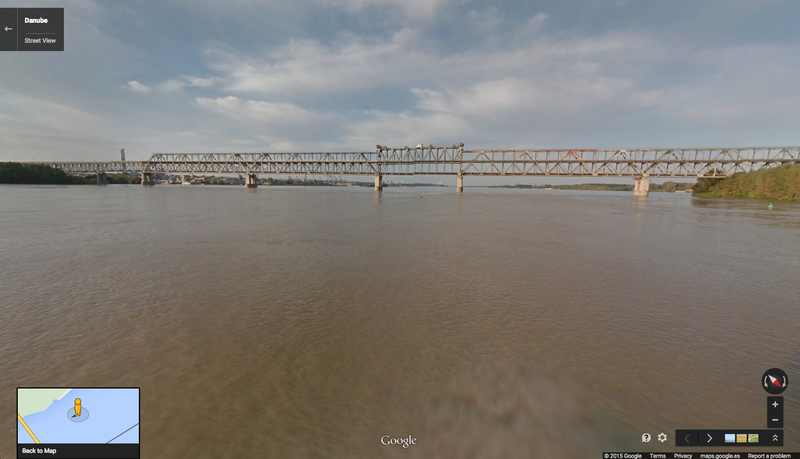 Then onwards to Bulgaria, where the Danube acts as a bordering line with neighboring Romania. The bridges that connect Bulgaria and Romania are believed to be among the shortest ways to reach Western Europe from the East. Growing up close to the drainage basin of this great river, whenever I visit a city along the Danube it’s easy to feel connected not just to my hometown but also to everything in between. 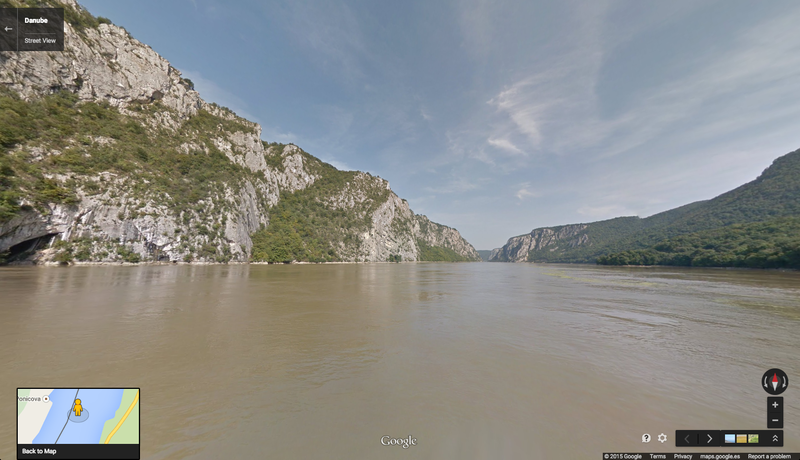 That’s why I find it even more exciting to connect all the pieces on Street View, follow the river all the way, and see what a grown-up and majestic river “my” little Danube from Ulm becomes when it flows into the Black Sea. 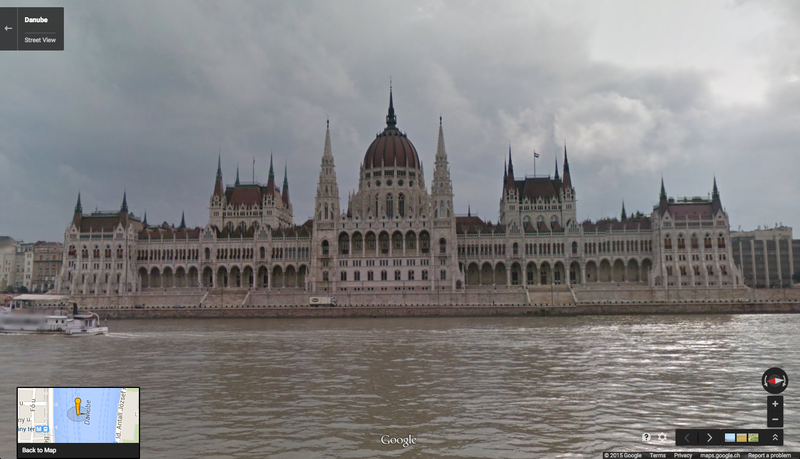 Hopefully you too will enjoy this journey down the Danube on Street View in Google Maps.